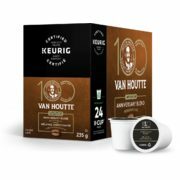 Indulge your desires at Keurig with 15% off the Van Houtte Anniversary Blend as well as a few deals on Keurig machines for a limited time. Sale is live for a limited time. Free shipping on orders above $80. Quantities are limited so stock up now while supplies last.